It was only iPhone 3GS which allowed video recording and editing along with sharing of your videos with your friends and family. iPhone 3G and 2G could do such stuff only if you jailbreak it, and then install an app like Cycorder from Cydia. But the good news is that Apple has now finally approved iVideoCamera app on the App Store. 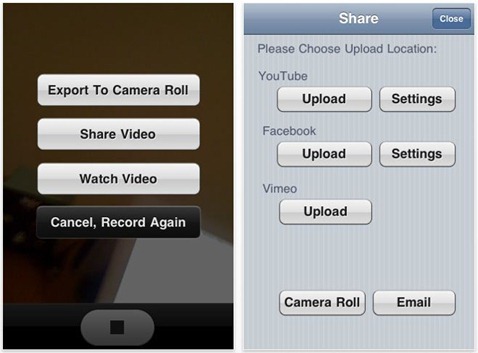 This app permits recording of videos on any iPhone, including 2G and 3G without having to jailbreak your iPhone. 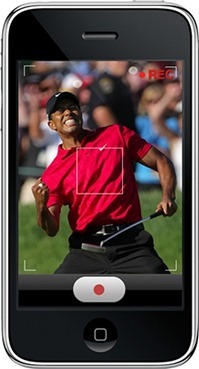 The iVideo Camera allow you to record a short video on any phone. The app works with any 2G or 3G iPhone installed with iPhone OS 3.1 or above and it also includes ability to save your videos directly to your camera roll or "Photos" and share it via FaceBook, YouTube, Vimeo or Twitter just like you do on iPhone 3GS. The iVideo Camera app with all the goodness has its share of limitations as well. You can only shoot a video of up to about 1 minute in length, capture about 3 frames per second at a 160×213 resolution which is pretty low for today standards. But the developers have insisted that they are working on improving the quality and frame rate along with lots of new features. The iVideoCamera app is now available for $0.99 in the App Store. The acceptance of iVideoCamera app by Apple has open new avenue for the app developers and we may soon see Cycorder and other similar apps making its way to the App Store. Interesting. Though I believe iVideo should be free and made by the folks at Apple themselves. 3 frames per second? Please tell me that's a typo. Cycorder is still muuuuch better, and free. Just tried it, works ok, can't move too quickly as refresh rate is very low. Good very VERY SLOW cursory scans of non-moving things, like shelf products or landscape. Apple's i-phone is so famous and good phone in the world.Now they are approved ivideo camera so you can take video with our any intruption and you can get good quality video. I can not export videos on Facebook. The touch areas on the screen are not correct – this is driving me crazy!!!! I like the app. Using it on a 1st gen iPhone, but having problems sharing videos using iPhone Messages app. When I click SHARE, texting is not an option. When I'm in Message app and touch the camera and camera roll, the video doesn't appear – only the pics show up as choices.